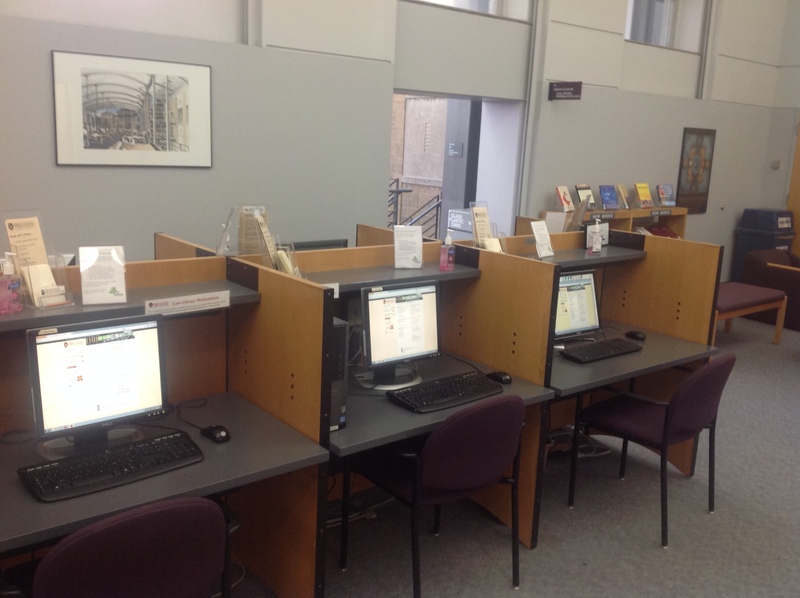 Adjacent to the Reference Desk in the Bruce and Evie Thomas Foyer are several of the library's public computer workstations. Additional public workstations are available on the first, second, third, fourth and fifth floors. Law students may also use the workstations in the teaching lab or study lab.